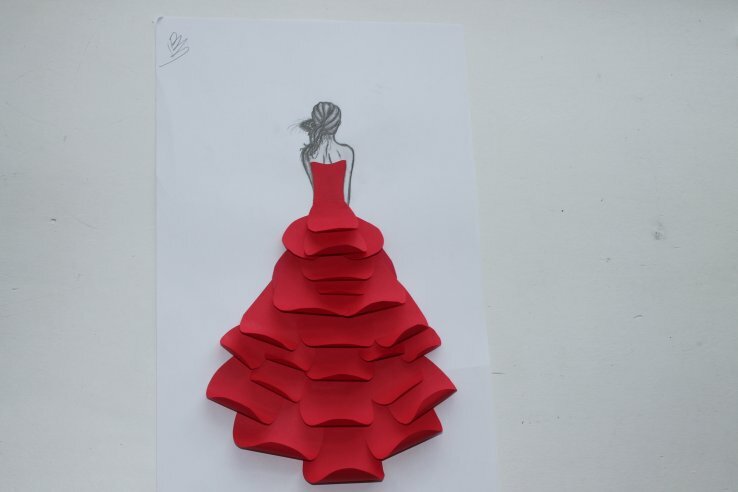 I created this piece of Art gluing red paper over top of a sketch of a woman. I curled the paper to make it fancier/prettier. Each layer represents big and small amounts of love "emitting" off of someone. My wish for the next 150 years of Canada is represented in my Art; Beauty and Love may continue.